What’s your first step on your way up from zero? How much would your return be if you had $0 in the initial investment? 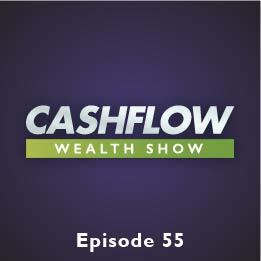 Listen in as Andy Tanner, creator of The Cash Flow Academy and author of 401 (k)aos and Rich Dad Advisor, teaches you how a lack of financial education is what’s keeping most people in the rat race. But there’s a way out. Many people look at the wealthy and think they’re just getting richer and richer because they already have money. But, if you look at how they invest, the rich invest as if they have no money. In fact, they don’t want money, they want assets. They’ve learned to leverage other people’s money to get them the best returns possible as they get their initial investment as close to (or even all the way to) zero.